This 45 minutes meditation technique offers a powerful method to connect yourself with the cosmos and feel the immense strength rising out of this meeting. 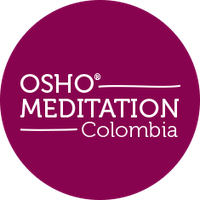 In Tantra – The Supreme Understanding Osho speaks about this meditation. Kneel with eyes closed and raise both hands towards the sky, palms upward, your head like the mouth of an empty pot, your body hollow. Feel the energy fill you. Let it go as deeply as possible into your body, mind, and soul. Your body will start trembling and shaking, like a leaf in a strong wind.